If you’re new to customising motorcycles or just want to learn more about what goes into an awesome exhaust, then exhaust school is the place for you. We’ll give you an insight into the four main exhaust categories, and also take a look at a few components you’ll find on some of the products in our exhaust range. In just a few minutes you’ll go from exhaust noob to exhaust guru! Our exhaust range is split into four major categories; 2-into-1 Systems, 2-into-2 Systems, Slip-On Mufflers, and Header Pipes. Discover the differences and decide which one is perfect for your bike. 2-into-1 exhaust systems are the primary choice for riders and bike builders who want to increase the performance of their machines. Most produce significant horsepower gains and added torque. These exhausts are also popular for riders who prefer a sporty, aggressive look. Some 2-into-1 exhausts have the added benefit of being mounted higher on the bike, allowing more lean room for riders who like to corner hard. 2-into-2 exhausts are regularly revered for their classic, timeless style and rich sound. These days there is a seemingly infinite number of 2-into-2 varieties available, from purely performance-driven systems, to the most eye-catching designs for top show bikes – and everything in-between. 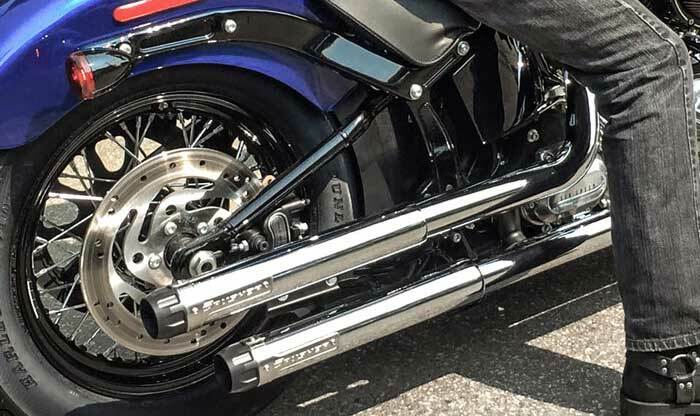 While each exhaust system will produce different results, many 2-into-2 exhausts produce more mid-range power, making them ideal for riders looking for a more responsive ride over top-end speed. Slip-on Mufflers give you the ability to upgrade the look, sound and performance of your bike, with the convenience of simple installation. Because the stock header pipes are left in place, Slip-on Mufflers are easier to fit and can be more affordable than a whole system. In the past, Slip-on Mufflers were often only used to change the sound and appearance of a bike. Today many of our manufacturers produce mufflers that also provide significant power gains. 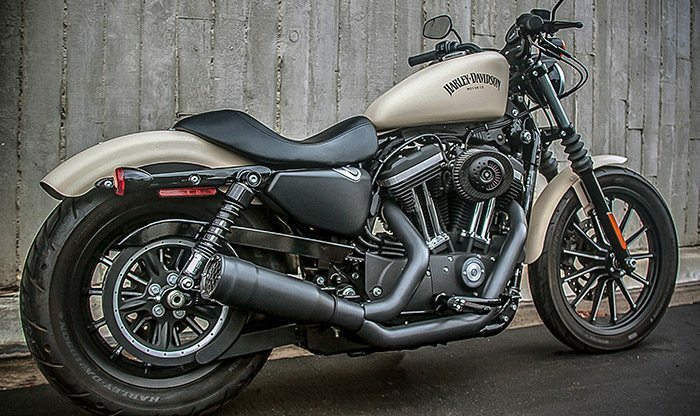 Header Pipes are available separately for Harley-Davidson® Touring models and some Indian and Metric bikes. 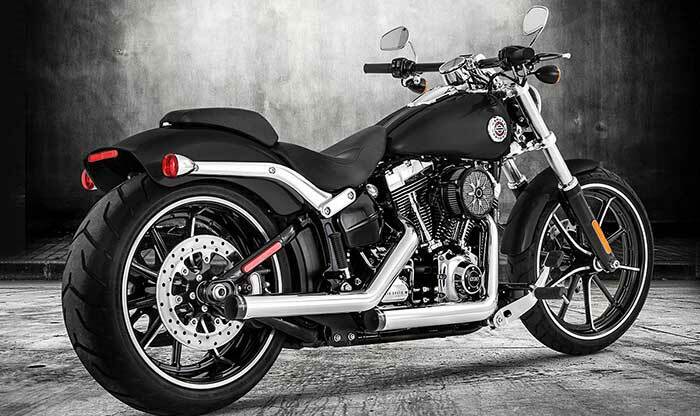 Buying headers and mufflers separately gives bike builders a huge range of options for customisation. Whether you’re working on the ultimate cruiser or a bombed out bagger, you’ll be able to find a combination that perfectly suits your individual style. Alright, now you know all about the four major exhaust categories. Want to know more? Awesome – here’s a bit more info to ensure you get the most out of your new exhaust! Stepped Headers are commonly used by exhaust manufacturers to get more power from an exhaust. So what are Stepped Headers? As the name suggests, a stepped header pipe starts at one diameter, and then steps up to a larger diameter, (and then another and so on). The number of steps can vary, but the result is always more power. How does it work? As the exhaust gasses move through the pipe, they expand and need to be elimanted as quickly as possible to make way for the next wave of gasses. The stepped headers give the gasses space to expand, and create a vacuum-like effect, virtually sucking the emissions through the pipe. This improves airflow and allows the engine to run more efficiently, and produce more power. To get the best results from your new exhaust, re-tuning and fuel mapping is highly recommended. Re-tuning can be performed by your local bike shop on a dyno or using a portable device such as ThunderMax’s WAVE TUNE. 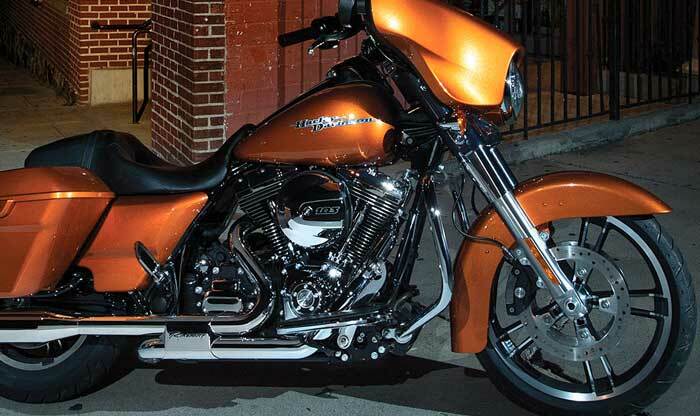 One of the key factors many riders consider when purchasing a new exhaust is how it will look. But with so many options that all have their own unique pros, how do you decide which exhaust perfectly matches your style? Here’s our top tips to keep in mind when selecting a new exhaust. What’s important? Looks, performance or sound? Identify your number one priority, and with that in mind start making a shortlist. Fit in or stand out? On your next ride do you want to fit in or stand out? Don’t make the mistake of “customising” your bike only to have it look exactly the same as every second bike on your next ride. Take the time to find a truly individual exhaust system that suits your bike and you’ll soon see a wave of heads turning your way. What’s your style? If you’re more laid back you might want a traditional 2-into-2 exhaust. Got a fully custom Mexican bike? Get those fishtails. Cafe Racer? Try a sporty 2-into-1. Want something with more aggressive styling? Check out a more modern design like Freedom’s Sharp Curve Radius. Just remember, it’s your bike so make it suit your style. Well done, you’ve graduated exhaust school! That wasn’t too hard was it? What’s next? Why not check out our exhaust range, and use your newfound knowledge to find the perfect exhaust for your bike!